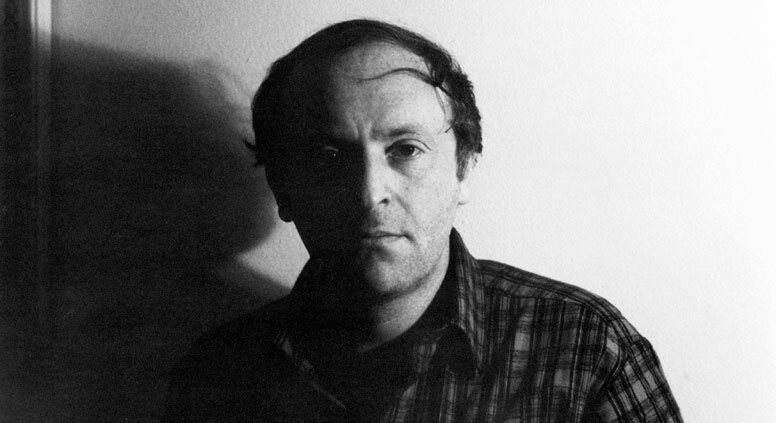 Ahead of the 75th anniversary of Joseph Brodsky's birth, RBTH is publishing an interview with the director of a documentary about the poet filmed not long before his death. In 1993, movie directors Yelena Yakovich and Alexei Shishov made a two-part documentary called Walking with Brodsky. In it, the poet wanders around Venice, introducing his favorite places and talking about Russia, culture, politics, poetry, philosophy, time and himself. It was the only occasion when the Nobel Prize winner, one of the greatest poets of the 20th century, was filmed for Russian television. Rossiyskaya Gazeta interviewed Yelena Yakovich. Rossiskaya Gazeta: How did fate bring you and Brodsky together? Yelena Yakovich: I was working for the Literaturnaya Gazeta newspaper at the time. That was when previously classified archives were beginning to become public, and it was possible to study documents related to the case brought against Brodsky in Leningrad in 1964, and the fascinating correspondence between senior Communist Party bosses in 1987 regarding him receiving the Nobel Prize. Perestroika was already in full swing, yet out of inertia they were seriously discussing whether to report that Brodsky had been awarded the Nobel Prize in the Soviet press. I prepared a full page for my paper devoted to that correspondence, and we came up with the crazy idea of asking Brodsky himself to comment on those documents. We got hold of his telephone number. Brodsky very politely replied that the only comment he could give was that the story was not worth commenting on. He thought that everything had fallen apart precisely because people at such high level were busying themselves with such trifles. And then I suddenly asked him whether he would agree if we made a movie about him. He politely replied, “Well, maybe one day…” He clearly said it just to get rid of us. However, everything seemed possible back then in the early 1990s! We proposed the idea of a movie to Brodsky's friend, the poet Yevgeny Rein. For some reason we immediately decided that Venice would feature in our movie because of its beauty, and because Brodsky had written an essay called “Embankment of Incurables” that was a ready-made script (or so we thought then). So we all wrote letters to Brodsky: Rein wrote one, Culture Minister Yevgeny Sidorov wrote one, while my co-author Alexei Shishov arranged for a letter to be written from television. It later turned out that the letters never reached Brodsky. As there was no reply, Rein and I gave him a call two months later. Out of the blue he simply agreed: “I'll be in Italy in October, why don't you come then?” he said. R. G.: What impression did Brodsky make on you? You were immediately and unequivocally struck that he was a genius. This sounds almost banal when it comes to Brodsky, but his aura of genius was there even outside his poetry and standing: every gesture he made and every word he spoke was electrified with talent. A conversation with him demanded all our energy, and we had to keep our distance. We had the impression that one untoward question, one false step and we would lose the chance to interact with him. R. G.: Brodsky used to say that Venice was a city where he always wanted to show things to other people rather than look at them himself, where he constantly wanted to share something with others. Y. Y.: He once said, “I wish you knew how happy I am to be showing Venice to Russians at last!” That was the only time when I asked him to repeat something for the camera. But he refused. It was impossible to keep up with him: he ran around Venice. I think it was on the third day when he took us to yet another of his favorite churches, and there was a funeral in progress. The expression on his face suddenly changed, and he said, “If you go there, you will see how they are laid in a funeral gondola.” Nothing happened to him by accident. Back then nobody could know that he would be buried in Venice, and that while filming a gondola on its way across the lagoon to the San Michele cemetery, “the island of the dead,” we were filming his own subsequent funeral. R. G.: How did Brodsky react to the fact that a movie about him and the team behind it were presented with Russia's main television award? Y. Y.: About the movie he said: “There is a bit too much of me; there could have been more of Venice instead. But the music is wonderful.” I do not know what he thought about the TEFI award. Of course, we called him, because the first ever TEFI ceremony was held on May 24, 1995, which was his birthday: his last birthday, as it turned out. This is an abridged version of the article first published in Russian at Rossiyskaya Gazeta.